At this time of year, it’s especially important to remember the admonition “Do not run faster or labor more than you have strength” (D&C 10:4). We have the righteous desire to make this time of year very special for those that we love. We want to have sparkly, beautiful things that create feelings of joy, peace, and happiness. We especially want to make sure that everything is perfect, that Christ is the center of our celebrations, but that every other detail also comes off without a hitch. We also somehow think that we are going to achieve all of this while also doing everything else that we do in our busy lives, an d that we should be able to pull it all off with a smile and without a stumble. Snuggle in and let me tell you a bedtime story. Once upon a time, I was a young wife. And I wanted so much to be the perfect wife and to feel good about myself and for my husband to think that I was the best thing ever, and to make my mom proud, and my ancestors and to do everything that anyone would want me to do. Making a plate of Christmas treats and delivering them to probably everyone in our little married student ward, even those people that had been married FOREVER, like two years. So, I plotted and planned, and looked up recipes, and coordinated the colors and the flavors and pretty much thought that everyone should probably just prepared to be a-s-t-o-u-n-d-e-d. The flour and sugar flew, every dish was dirtied, I bossed my poor husband around like he had never seen before, and then, the unthinkable happened. My white chocolate sour cream fudge FAILED. It was closer to white soup than anything resembling fudge. My husband wasn’t sure exactly what to do. He tried telling me that at least it tasted delicious, that it didn’t matter how it looked. Oh, it mattered. It mattered a lot. And now he had just validated that it looked terrible. And it’s not like I could just throw it out and start over. We couldn’t even afford to buy the first ingredients, let alone the second, so not an option. You guessed it. A member of the Bishopric was bringing by a plate orchestrated and perfected by his amazing wife who also was a scriptural scholar, had three brilliant and sparkling children, and had been successfully married for an utterly astounding five years or something ridiculous. Everything was delicious. (Okay, I didn’t actually eat anything yet, but I was just sure it was going to be delicious!) There were four different selections. The magnum opus was a perfect pyramid of these most amazing cookies. They were delicate. They were white with tiny chocolate stripes. THEY WERE ROLLED INTO PERFECT LITTLE SPIRALS. I burst into uncontrolled blubbery sobbing. It was ugly. Because the cookies were so beautiful. Give credit to my husband. He waded in again because the man is brave, I’ll give him that. He hugged me, he talked to me, he told me I was awesome. He comforted me as best he could, and then he looked more closely at the plate of cookies as I gestured at them frantically and blindly. Hmm . . . what? I grew up in Wyoming. I had never heard of such a thing. So, I had talked myself into a state of endless woe and utter misery by comparing myself to someone who wasn’t bringing me cookies to show off how amazing she was. Even more astounding, this woman’s fabulous kids probably weren’t created with the intent of making me feel badly either. Maybe she just actually brought us cookies because she wanted us to know that she appreciated our friendship. And maybe she bought beautiful fancy cookies as part of her plate because she had learned something that I didn’t know yet. She had given herself permission to let it go. Sometimes you really just have to let it go. (Cue music, you know you are already singing it in your head). Every time of the year, but especially THIS time of the year, not everything is going to be perfect. Choices are going to have to be made. People need to be the priority, not things, and not even things that will make people happy if the going gets really tough and something has to give. Let’s give ourselves permission to give it what we have to give and let that be enough. 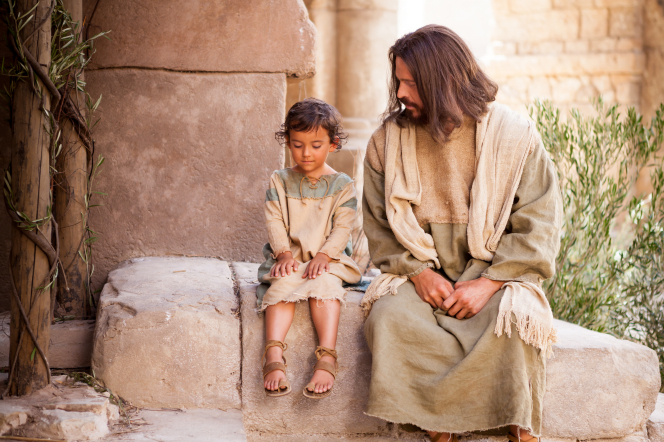 We can promise ourselves to seek “earnestly the best gifts.” (D&C 46:8.) If we are seeking the best, that means that we might need to set the “good” and the “better” down and walk away. I love this quote from Ralph Waldo Emerson. When you picture the manger scene, it’s simple, it’s peaceful, and it’s quiet. It wasn’t in the ideal setting, it wasn’t probably the way Mary had pictured having her first baby, and I’m sure it wasn’t Joseph’s first choice to be delivering the baby himself, surrounded by animals. But it was real. And it was beautiful. And it actually was perfect, in the only way that mattered. And your celebration of it will be too. My challenge to myself and to you is to do what you can on your to-do list, and then be done. Strive for the peacefulness of choosing the best gifts for those that you love and for yourself to allow the true Spirit of the season to fill your home and your heart. Your Heavenly Father has a wonderful gift for you to give and receive this holiday season, if you will slow down, calm down, and kneel down enough to receive it. Ha ha. I love that cookie story. Great reminder, Natalie. Thanks for the awesome post. This is great, Natalie. . . just what I needed to hear this morning!!! There are so many things about this post I love. Thank you! I needed to hear it more than you know!